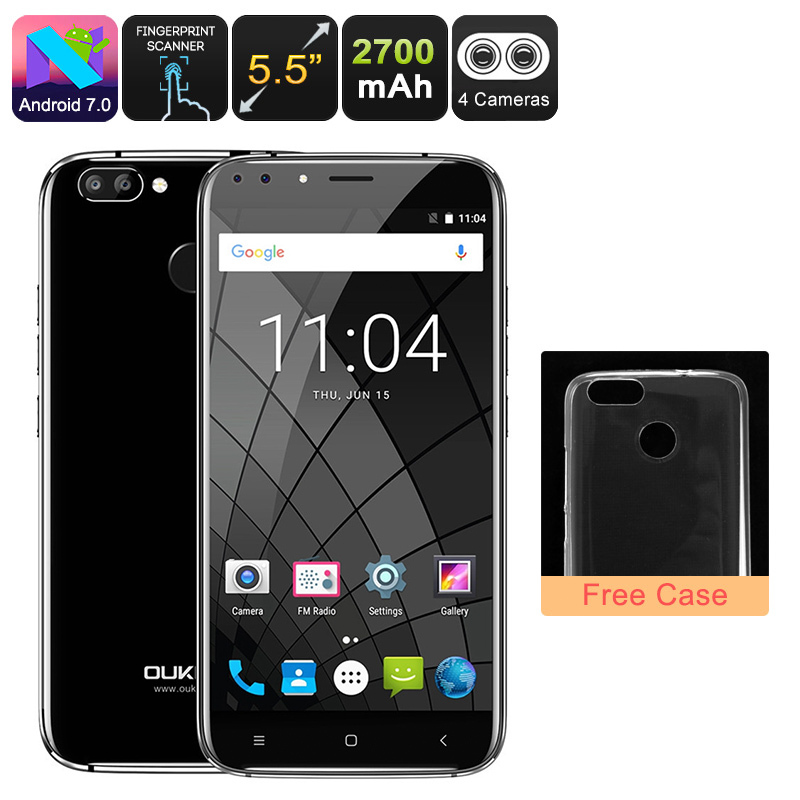 Successfully Added HK Warehouse Android Phone Oukitel U22 - Quad-Core CPU, 2GB RAM, Dual-Rear Cam, Android 7.0, 5.5 Inch HD Display (Black) to your Shopping Cart. Thanks to its sophisticated hardware, this cheap Android phone is most likely one of the best smartphones in its price category. In terms of connectivity, it brings along 2 IMEI numbers and 3G support. Thanks to this, you’ll always be able to stay connected to two network providers at the same time. With this Android phone at your side it does not matter where you are as you’ll always be able to stay within reach. 3G connectivity provides you with fast mobile data speeds. So whether you like to play online games, stream movies, or make online calls, the Oukitel U22 handles it all. What really sets this smartphone apart from other cheap Android phones are its Dual-Front and Dual-Rear cameras. This stunning device comes packed with a total of 4 cameras, each of which allows you to shoot stunning photographs. With 16GB internal storage and a 32GB SD card slot, your cell phone provides you with more than enough space to keep all your pictures and videos. All your personal media can be enjoyed on the phone’s 5.5-Inch HD display. This IPS screen brings forth vivid 720p resolutions that let you undergo a stunning visual experience. With a 2700mah battery, this Android device packs enough juice to get you through the longest of days.